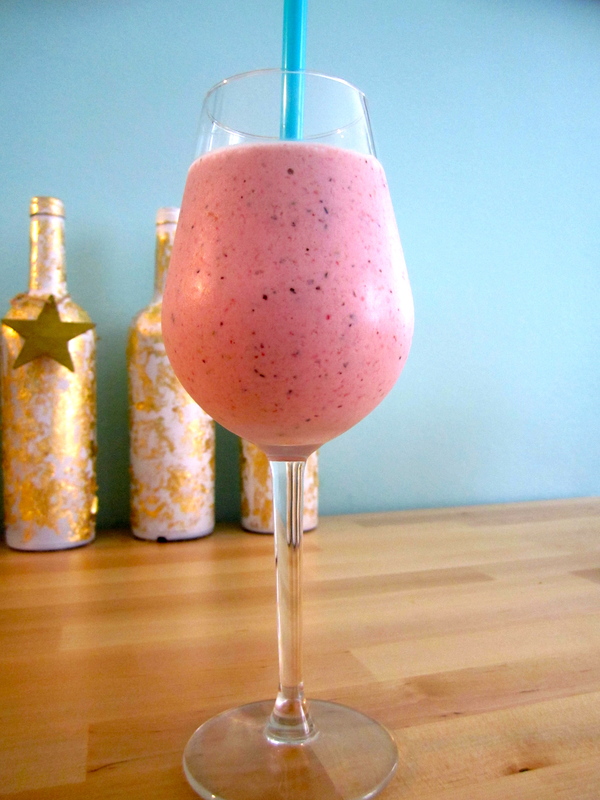 One of my favorite things to make when I’m in the mood for a deliciously refreshing breakfast, afternoon snack or post-workout drink is a berry banana smoothie. Super energizing and full of vitamins, nutrients, antioxidants, fiber, protein and all kinds of good stuff for your body (especially when you throw a bit of baby spinach into the mix) … this one is just perfect and I’ve stuck with it for years. The ingredients are all natural and really simple. .Baby spinach is an awesome additive! You don’t taste it but it adds tons of vitamins and iron. 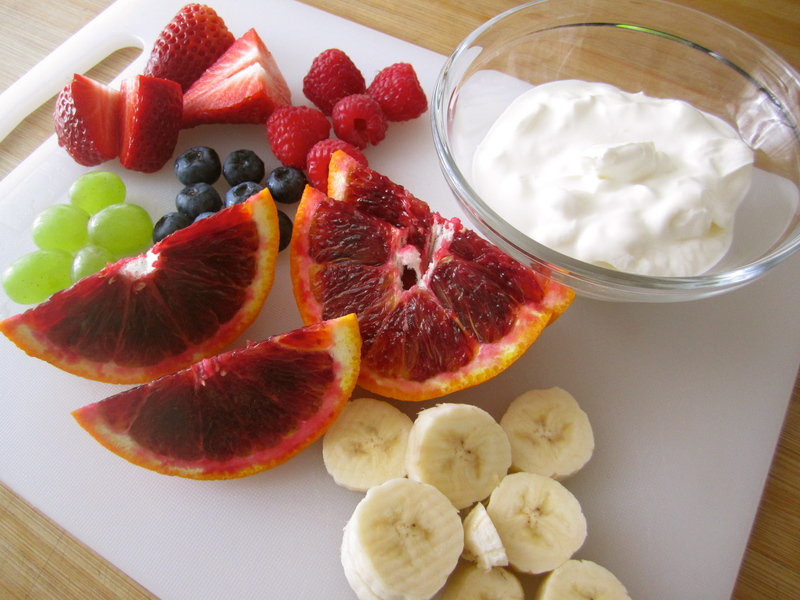 .If you like your smoothies less thick add a little milk, guava or orange juice. .If you like your smoothies sweeter add 1-2 teaspoons of honey. .If blueberries and raspberries aren’t in season I love adding nectarines. Note: I often use fresh fruit and add ice cubes, but sometimes I freeze it, in which case, less ice cubes (if any at all) are needed. Over here (in Italy) it’s really hard to find a bag of frozen mixed berries, but those are a great/simple option. Berries are loaded with fiber, which helps you feel full (and eat less). Berries top the charts in antioxidant power, protecting your body against inflammation and free radicals, molecules that can damage cells and organs. One study even showed that one-half to one cup of mixed berries a day improved cognition and motor performance in animals. James Joseph, PhD, director of the Neuroscience Lab at the United States Department of Agriculture Human Nutrition Research Center on Aging at Tufts University, Boston, which conducted the study, notes that we become more susceptible to the damaging effects of free radicals and inflammation as we age. Berries help prevent those effects by turning off the inflammation signals triggered by cytokines and COX-2s, he says, making them an ideal part of your diet. Strawberries contain more vitamin C in a one-cup serving than one orange and are particularly high in folic acid. Blueberries contain 20 types of anthocyanin – antioxidants that give berries their blue-violet and red colors. Other berries contain only three or four types. Blackberries, Raspberries and Boysenberries each contains 8 grams (g) of fiber in one cup, one-third the daily recommended amount (25 g). Cranberries not only combat urinary tract infections by preventing Escherichia coli bacteria from sticking to cells in the urinary tract, but they also are a natural probiotic, supporting healthy bacteria that grow in the gastrointestinal tract and aiding in digestion.